“Maggie Mixup” was produced in a period of change for the Alexander Doll Company. A transformation of “Elise” was used for the 16.5-inch version of “Maggie Mixup” - and an 8-inch version used “Wendy.” This is a demure doll, representing a young teenage girl who herself might be phasing out of dolls. Alexander was committing more and more dolls to vinyl, but Maggie Mixup still has a hard plastic head using the Madame Alexander mid-century tradition of saran wigs. The company catalog describes her with a new “So-Lite plastic body” and describes Maggie as “saucy with red-gold hair.” The jointed ankles, versatile when used for Elise in high heels or ballet slippers, are now wearing flats. “Maggie Mixup” wears the new rage of young fashion - the Capezio style slipper. The Madame Alexander company catalog for 1960 and 1961 gives the doll an unusually full description. There was probably a great deal of thought in the concept and design of the doll and her costuming. The Alexander doll company was phasing out of the large 21-inch fashion doll, but in contrast, was introducing large 36 and 30-inch dolls “Joanie” and “Betty,” the size of real children. With Barbie tied into TV advertising, Maggie Mixup may have had a hard time finding an audience of her own. Not a fashion doll and not a child, Maggie Mixup was caught right in-between the two and had a short but distinguished career with Madame Alexander. 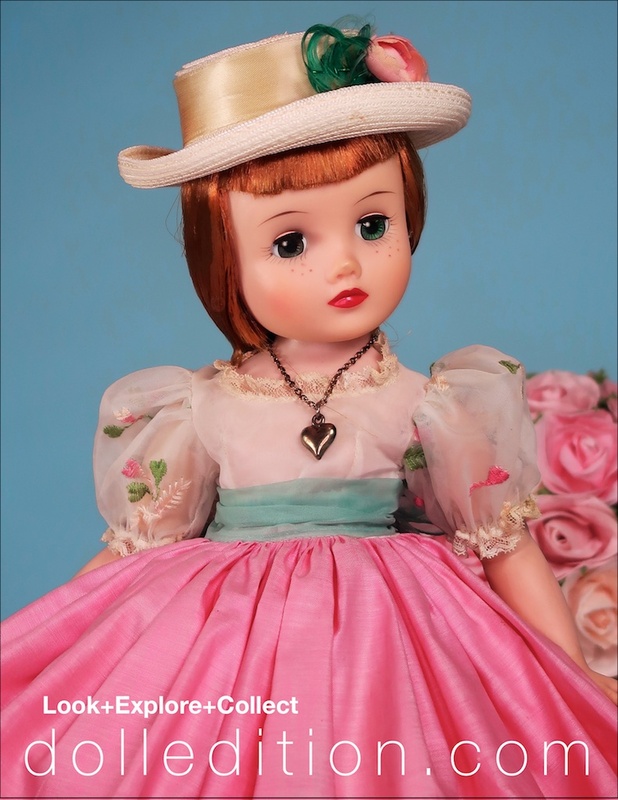 Looking demure in her party frock of cotton and organdy top with embroidered details, Italian straw hat accented with a feathers and a pink rose. LEFT: Part of the dolls marketing was the heart necklace that the company catalog describes “shows how sentimental she is.” MIDDLE: “Maggie Mixup” got her own tag “Maggie,” and was registered with the US Patent Office. RIGHT: Maggie Mixup 1961 No. 1855, 17 inch - Maggie grew by 1/2 inch. Céline, dress, spring 2017, France, gift of Céline. 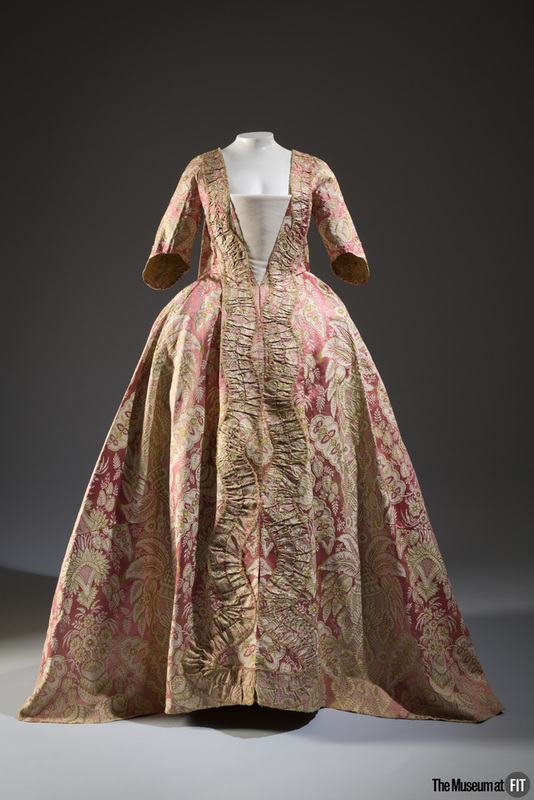 Dress, 18th century, museum purchase. Part of the universal charm of Downton Abbey is the beautiful costuming that reflects both the period the production is taking place and the characters wearing these costumes. The nuance of design and detail is remarkable and ever changing as the storyline progresses. Before there was The Crown, there was everyone’s other favorite prestige soap about wealthy Brits arguing passive aggressively in beautiful homes: Downton Abbey, which hasn’t been on the air since 2016 but which captured our Anglophilic hearts and minds for six seasons. 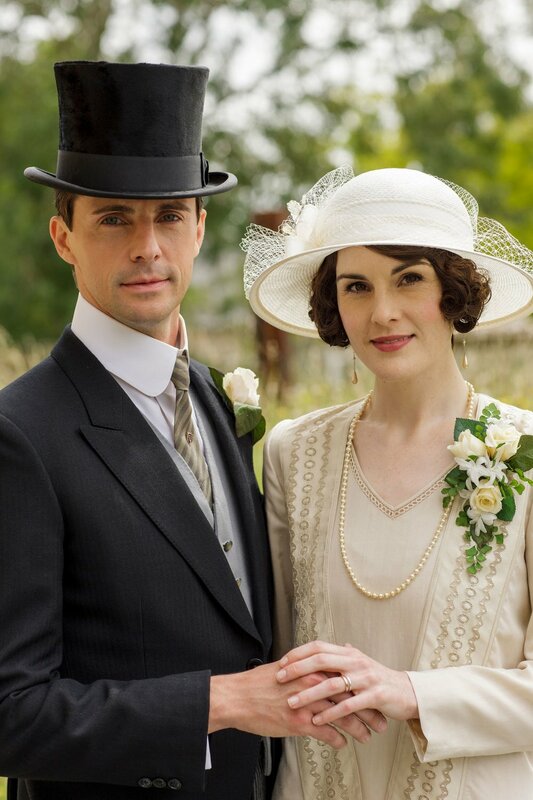 Thankfully, we’re getting the Downton movie, which we now know has officially started filming, thanks to an Instagram post from Michelle Dockery, aka Lady Mary. The Littlest Ghosts of the Garden have been seen looking at new gardens… is there change and adventure in the works?